The New Kazuma Meerkat 90cc ATV. 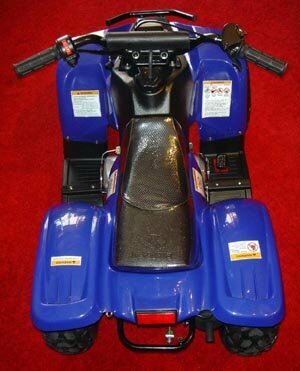 The same body as our best selling Kazuma 50cc but NOW with a 90cc engine and a fully automatic transmission. 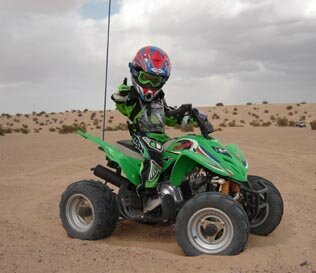 Raceway ATV would like to introduce one of the best 90cc ATV's around, the Kazuma Meerkat 90 ATV. 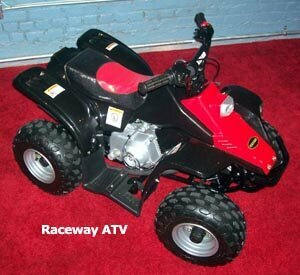 This durable and rugged 90cc ATV is a personal favorite of ours at Raceway ATV. And now with stylish flamed stickers added to the front and rear fenders, this 90cc ATV from Kazuma is a real eye catcher. Allow our experienced staff at Raceway ATV to do the research for you. We have turned the Kazuma Meerkat 90 ATV upside down and inside out for our customers, And our final decision is that the Kazuma Meerkat Meerkat 90cc ATV is one excellent little ATV. Besides it's great looks the Kazuma Meerkat 90 ATV has a great 4 stoke engine. With quality air control laws and the hassle of mixing oil with your gas, just say good bye to two stroke engines and enjoy the cleaner and easier to use four strokes. 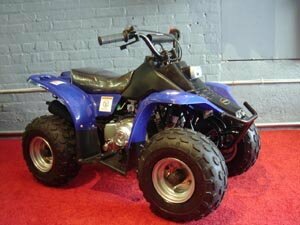 The Kazuma Meerkat 90cc ATV can really ride with the best 90cc ATV's in its class. And the price of the Kazuma 90cc ATV really makes it the leader of the pack. As we went trough the Kazuma Meerkat 90 ATV we found great safety features, like a kill switch plug, located on the left side of the Kazuma Meerkat 90 ATV right below the gas tank. This plug allows you to attach a cord to the Kazuma Meerkat 90cc ATV (the other end of this cord can go around your child's waist or arm) and at any time your child leans over to much, the plug will pop out and kill the power of the engine to the Kazuma 90cc ATV. 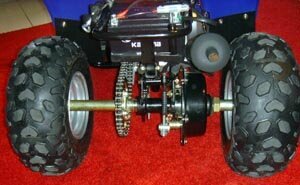 We at Raceway ATV feel that this kill switch is a great and important feature on the Kazuma Meerkat 90cc ATV. Another safety feather that we found was a kill switch in the rear of the Kazuma 90cc ATV (Located right next to the battery.) This allows you to tie a rope or cord to the Kazuma 90cc ATV, and at any time you apply pressure to this lever you will also be allowed to kill the power to the engine of the Kazuma 90cc ATV for the safety of your child. With two great safety feature like this we are sure that the Meerkat 90 ATV is one of the best choices in the 90cc ATV class. 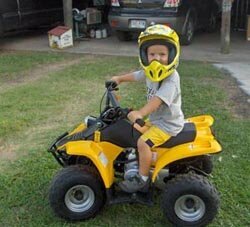 We believe if your are buying an ATV for your child one of the most important things above all is safety. You will also be surprised how quiet the Kazuma Meerkat 90 ATV is. We at Raceway ATV were amazed at the quiet sound of the Kazuma 90cc engine. Testing this unit with adults riding it the Kazuma 90cc ATV had no trouble pulling around 180 pounds and more while giving a stable and strong engine performance. The Kazuma 90cc ATV holds to the ground very well and can really take a beating. 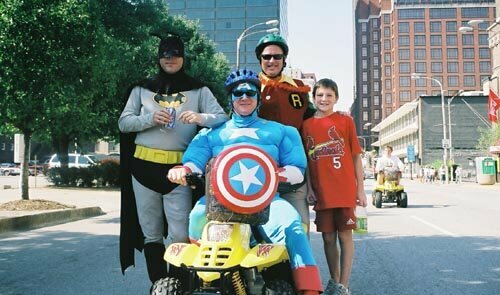 With a 4 speed automatic transmission this is really a bike that you child can grow with. The top speed of the Kazuma 90cc ATV is about 20 mph and you are surely not going to be disappointed by its power. You can also govern the speed to the Kazuma 90cc ATV by adjusting a screw on the throttle, this option is a great one for beginners. To get a better idea of the size of the Kazuma 90cc ATV we measured the height of the bike. From the ground to the top of the seat it is 22.4' and overall the Kazuma 90cc ATV is a good looking and well built machine. 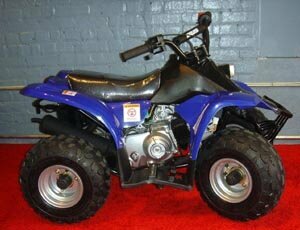 By far the Kazuma 90cc ATV is much cheaper than most 90cc ATV's in it's class, but don't be fooled by the price. The Kazuma 90cc ATV is a real steal. 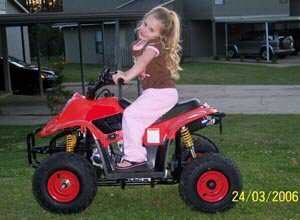 Ground to Top of Seat 21"
Top of Seat to Foot Pegs 13"
Ground to Top of Hand Grip 28"
Buy Your Kazuma 90cc ATV Today From Raceway ATV!